At Mysore take the road leading toward Ooty. From here on, it is just nature and wildlife in its entirety. Passing the Mysore airport on to Nanjangud and Gundlupet, small lakes are prevalent. Himvad Gopalswamy Betta, called so because the hill is enveloped with dense fog all year round and has a temple dedicated to Gopalswamy atop. A few kilometres from Gundlupet, it is nice for a short trek. Being the highest peak within the neighbouring national park, it is frequented by animals. 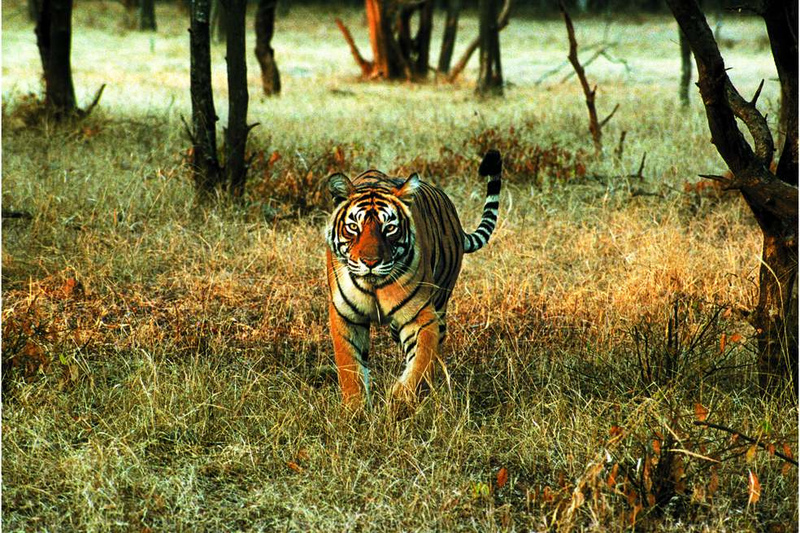 Further along Bandipur National Park (06:00 – 18:00 hrs), once a private hunting ground for the Mysore royals, is now a Project Tiger reserve. Fringed by Kabini and Moyar rivers; and Nugu river passing through, several endangered species of flora and fauna are protected here. This could be a second night halt for wildlife enthusiasts to explore the region before resuming to the hills. Adjoining this park is Mudumalai National Park and Wildlife Sanctuary, home to several vulnerable species including the Bengal tiger, Indian leopard and Indian White-rumped vulture. The elephant camp at Theppekadu serves as a training and research ground for captured pachyderms with the surrounding areas being rich in bamboo fodder. About twenty-five elephants part of the camp are trained for joy rides and timber logging. Saturday and Sunday evenings are entertaining with elephants involving in races, soccer and dancing. Plantations, mostly of tea, dot the landscape, Gudalur onwards. Devala, a picturesque valley about twenty kilometres from here receives the third highest rainfall in India. A Pine Forest stretch on the way is beautiful when foggy. One should venture inside a little for some quiet time and photographs. A couple of view points off the highway ahead, Needle Rock and Frog Hill offer amazing views of the forest cover. 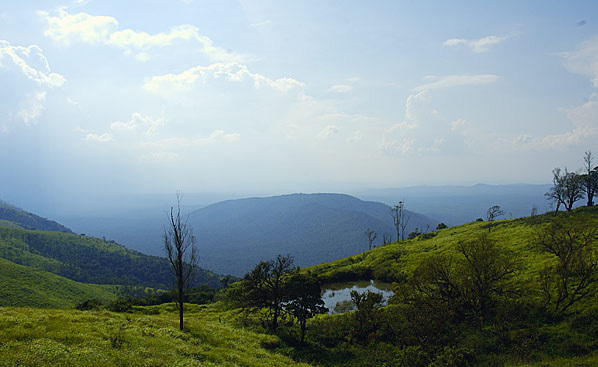 Pykara lake and waterfalls have a protected shola forest cover and Toda tribal settlement in the periphery that constitutes Mukurthi National Park. Mainly created for protection of Nilgiri Tahr, casual tourism is not permitted; specialised groups are by case allowed to trek and camp on peaks here. Wenlock Downs are huge grass meadows with a chain of slopes. 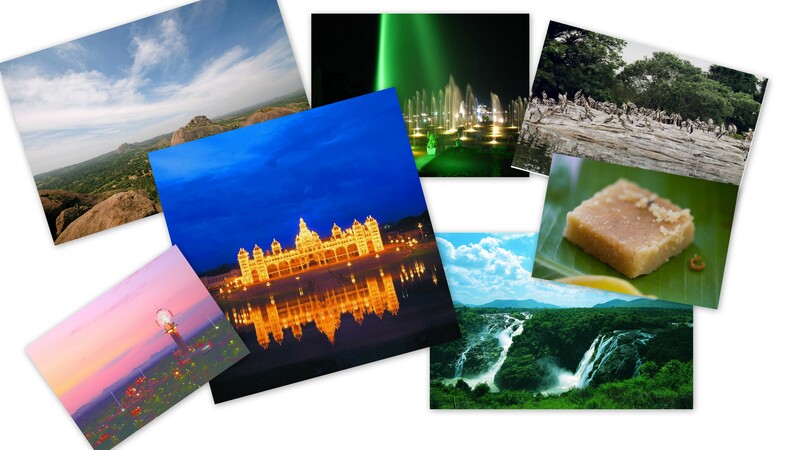 A famous portion of this region are movie locations called 6th and 9th mile which greet you with different flavours of tea – chocolate, vanilla and masala at stalls beside the highway. Thanks to unadulterated pasture, it is also home to a government sheep farm, Hindustan Films Company and the highlight Ooty Gymkhana Club for golfing. Eucalyptus forests dotting the far ends of the grassland lend soothing air. 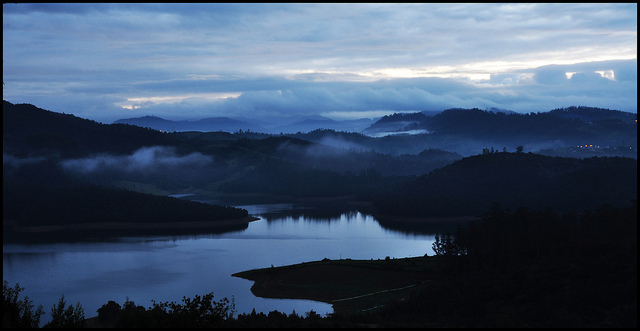 Thick foliage of shola forest surrounds Upper Bhavani lake and dam which are mostly untouched habitats. Avalanche lake is preferred for camping in its circumference as a base for treks on hills nearby. One could also engage in trout fishing here, with supplies from the trout hatchery. Emerald lake near Emerald village known for varieties of fish and birds is located in a region called Silent Valley. 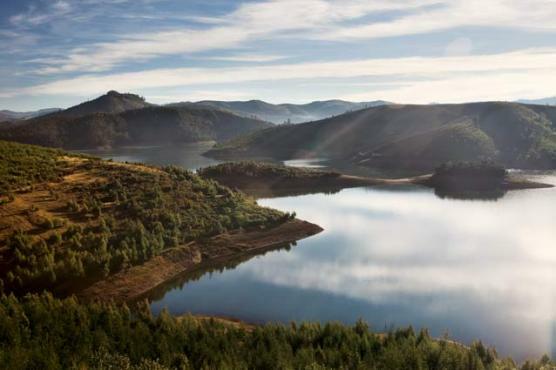 Proximity to forests, these areas require permits from District Forest Office in Ooty. One could indulge in tea related experiences at beautiful tea plantation estates like Glenmorgan and Singara around. Lamb’s Rock overlooking Coimbatore plains and Lady Canning’s Seat offer panoramic views of plantations and Nilgiri hills respectively. Arriving via Mettupalayam, Kotagiri, land of Kota tribes offers three popular trekking trails to explore the lush plantations and forests around – to Kokanad, St.Catherine waterfalls and Longwood Shola. Except for the forest and plantation areas, the towns have good facilities for fuel, medicines and other travel needs. Driving the curves and hairpins is better left for the experienced. It is very exciting, however, be reasonable and cautious. Understand, uphill traffic always gets preference. Heavy vehicle drivers are very sensible; they will most likely pull over for you to overtake. If you choose the narrow and steeper Masinagudi route, it is best that your eyes are on the road though scenic views are very tempting. Negotiate bends slowly, if not, the tyres may get heated and brakes jammed. Fresh fruits and vegetables are sold along the highway after Gudalur. One must stop and savour these typical produce with pretty backgrounds. Respect the wildlife habitat. Don not feed the animals or stop the car to click pictures. Do not honk, stop, smoke, sink or litter in the forest. Animals always get the right of way. Drive slow with your eyes glued to the road in forest areas. There are several animals that die in road kills every year. You dont want to contribute to that statistic. Vehicular movement is restricted in the forest stretch between 21:00 and 06:00 hrs. 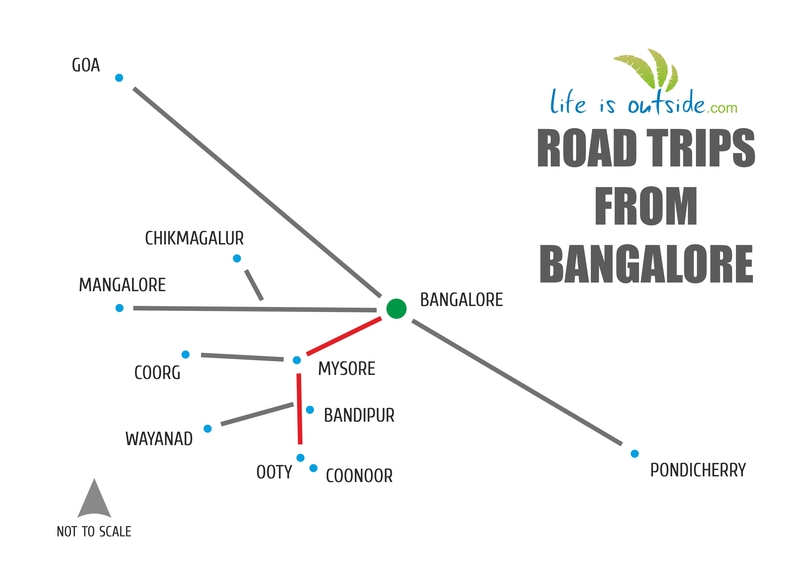 LifeIsOutside has a collection of the best hotels, resorts, homestays and camps amidst plantations and jungles on this route.